Neat, durable, and polished ceramic tile has been a popular design since ancient times. Its glossy appearance, durability, and maintenance less feature make it suitable for all kinds of applications and it adds beauty and style to homes. It is widely used for kitchen, bathroom, and hallway floors, and countertops, ceramic is both functional and aesthetic, the perfect solution for practical homeowners who wish for a clean, modern look homes. 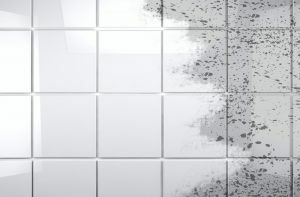 Here are some useful tips on how to clean your tile and grouts. Apply a baking soda paste or a hydrogen peroxide solution to the stained grout. Let it sit for a while, then scrub with a toothbrush or some other small nylon brush, and rinse well; For an easier solution, contact ServiceMaster by Wright fo your tile and grout cleaning needs. Steam clean the tiled surface by calling ServiceMaster by Wright. Call professional ceramic tile cleaning specialists to restore the pristine condition of the tiled surfaces in your home. And for the last tip given, you can call ServiceMaster by Wright for professional tile and grout cleaning services. From all types of ceramic floors to tubs, sinks, back splashes and shower walls. The ServiceMaster by Wright specialized services will clean, restore and beautify your home or business. Our highly trained teams are committed to providing homeowners and property managers in Southwest Florida and the surrounding area, with high-quality grout services. In addition to our grout cleaning and tile repair, we also offer water damage repair and caulking services. Call us today for an in-person estimate on your tile and grout needs. Contact us at 866-676-7761 for faster response or visit https://www.servicemasterrestorations.com/ for more details. Serving businesses and homeowners located in Southwest Florida and nearby Counties.